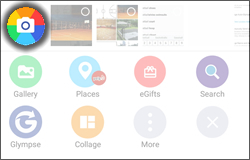 Tap the Pencil icon (located in the lower right). 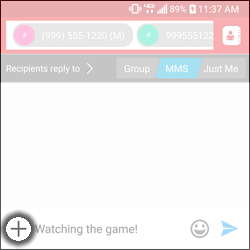 Alternately, select the contacts icon (located on the right-side of the To field), select a contact, select the appropriate mobile number then select OK. If prompted, select an option. 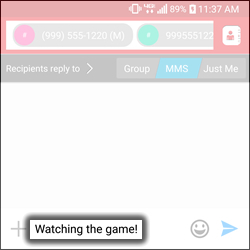 Allows recipients to reply to all who received the same message. Does not allow recipients to reply to all who received the same message. From the attachment section, tap the Video icon. For additional attachment options, refer to Send a Message (begin with step 6).